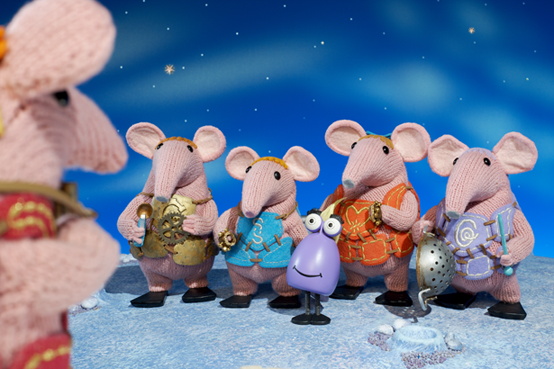 The classic British stop-motion series The Clangers returned to screens in 2015, with a series that miraculously retained the charm and heart of the original. The original version was a Smallfilms production, created by the late Oliver Postgate and Peter Firmin, in their cowshed turned studio in Kent. The new version stayed true to its stop-motion roots, but was a much bigger production produced by Factory and with a reported £5+ million budget. The show is a co-production from Coolabi Group, Smallfilms, CBeebies and BBC Studios, and is narrated by Michael Palin. Daniel Postgate (Oliver Postgate's son) is returning as executive producer and scriptwriter. The second series ran between September 2018 and May of 2018. The new series will return for a third series in 2019, it has been announced. The new series will include 26 episodes, taking the total episodes of the remake up to 104. A special episode of the original was aired that commemorated the 1969 Moon Landing. The new series will include an episode that will pay homage to this episode, and celebrate the 50th Anniversary of not only the Moon Landing but also of The Clangers themselves. Jeremy Banks, CEO Coolabi Group, says: "The Clangers is a wonderful family show that has an enduring magic and charm which can be enjoyed by both children and their parents. We are looking forward to marking this fiftieth anniversary with the announcement of the new series and special episodes that the talented team have worked so hard to create for this celebratory year." The new episodes will air on CBeebies and BBC iPlayer in 2019. The series airs in the United States on Sprout.